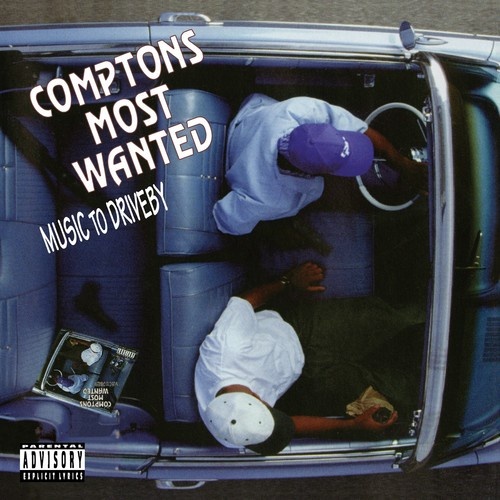 Music to Driveby is the third studio album by American rap group Compton's Most Wanted. It was originally released September 29, 1992 on Orpheus Records. The album was produced by DJ Mike T, Master Ric Roc, The Unknown DJ, MC Eiht and DJ Slip. Music to Driveby is considered one of the great gangsta rap albums from the golden age of hip hop. Similar to N.W.A. 's Straight Outta Compton, Music to Driveby includes similar themes centered around nihilism, hood life and participation in gangs. It is notable for the single Hood Took Me Under, which was later included in videogame Grand Theft Auto: San Andreas' radio station "Radio Los Santos", and has been considered a classic example of Gangsta Rap Along with a single, a music video was produced for the songs, "Hood Took Me Under" and "Def Wish II".